Shigaraki ware is a traditional type of pottery and stoneware made in the town of Shigaraki in Shiga Prefecture. 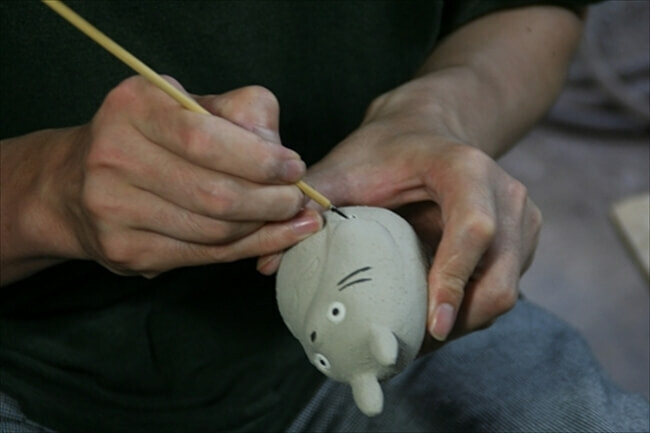 Village Vanguard is now selling a range of Shigaraki ware in collaboration with the Studio Ghibli movie My Neighbor Totoro including ornaments, chopstick rest, cups and more. Shigaraki is one of Japan’s Six Ancient Kilns and has a distinct warm colour made by the kiln it’s fired in. 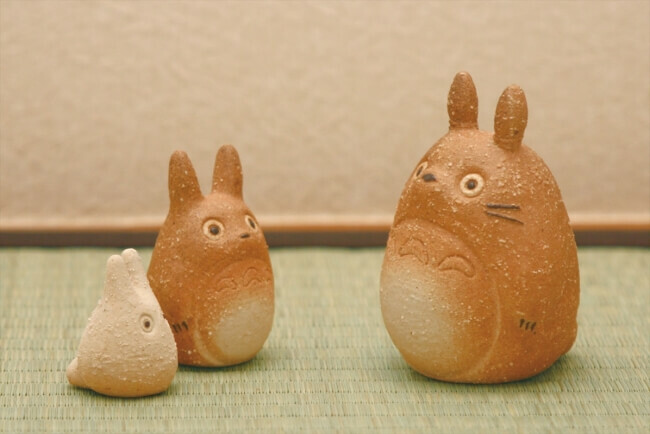 The Totoro set features Totoro himself as well as Blue Totoro and White Totoro. Each ornament is handcrafted expertly and incorporates the distinct craft of Shigaraki. Check out Totoro’s huge smile! 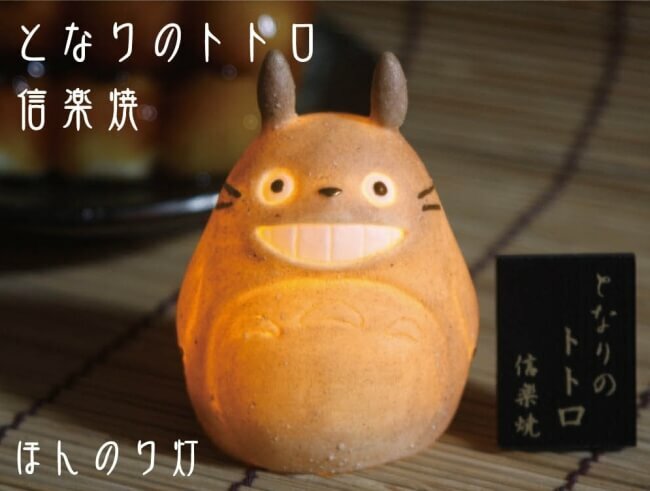 There’s also a Totoro LED light that sways with warm light like a candle. 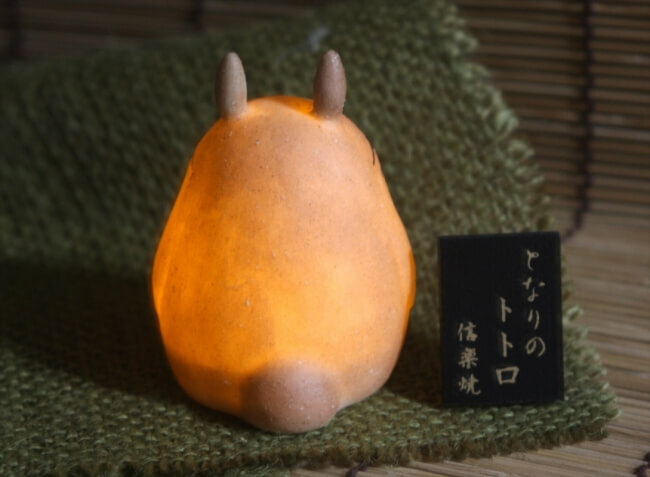 It can be used as a mini light for your desk. 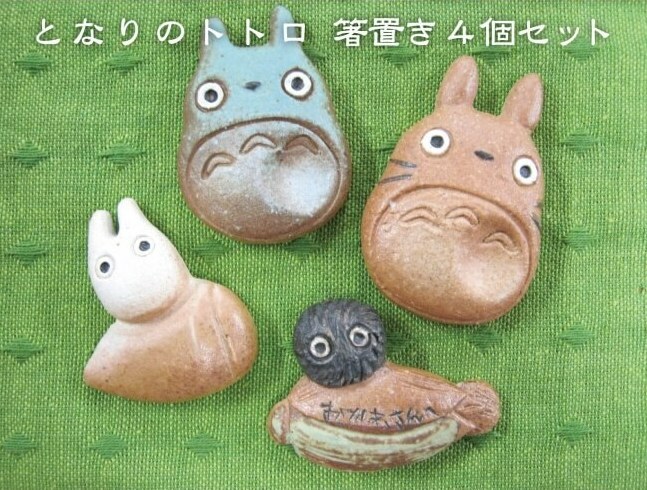 There’s also 4 different chopstick rests―the three Totoros and Soot Sprites―as well as white and green cups. Get your hands on these items from this collaboration between My Neighbor Totori and a traditional Japanese craft. Studio Ghibli Teams Up With Tea Company Lupicia for Series of Watercolor Badges!